The AMC3 Series Trophy Cup Series presents an economical trophy cup for awarding Champions. Pre-Assembled Metal Loving Cup. Mounted on Genuine Marble Base giving this cup alot of weight. 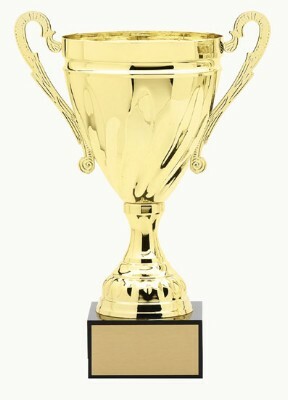 This Gold colored Cup is available in 5 sizes. CUP IS NOT ENGRAVABLE!